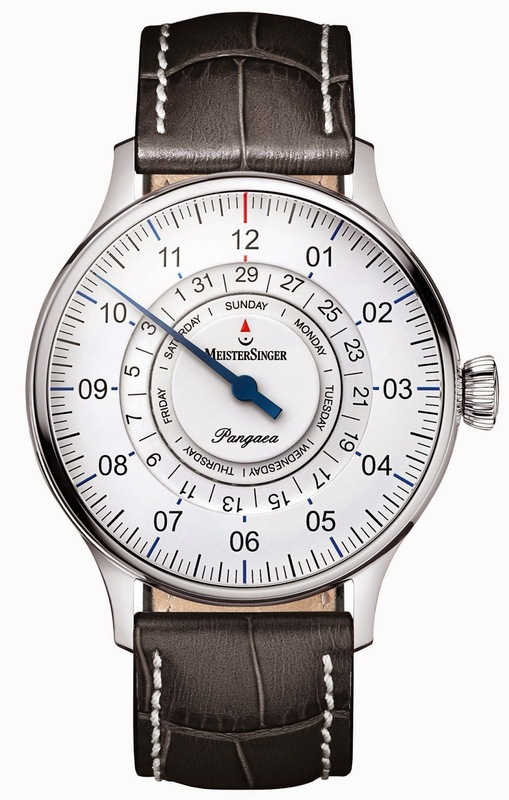 The MeisterSinger Pangaea is also available with day and date display. Introduced in 2013, the Pangaea day and date features day and date rings that stylistic highlight MeisterSinger’s design maxims. The date and day of the week can easily be read next to the twelve without losing sight of the time or the other days. Besides its functionality, the Pangaea Day Date also stands out thanks to another visual feature. At just 10, 5 mm thick its case snuggles around any wrist and becomes the perfect suit accessory for a sporty, elegant style.